There was a time when my husband and I spent over $600 on food in one month. And that was just for the two of us. We’ve come a long way when it comes to how we spend our money, on food especially. Back when we cut our expenses in half, creating a frugal budget was a challenge. It became my mission to keep our grocery spending to a minimum. I learned to make more and more foods from scratch, which reduced our final bill. That helped a ton but in order to know exactly what I was spending on groceries every week, I had to start keeping receipts. I know, I know. 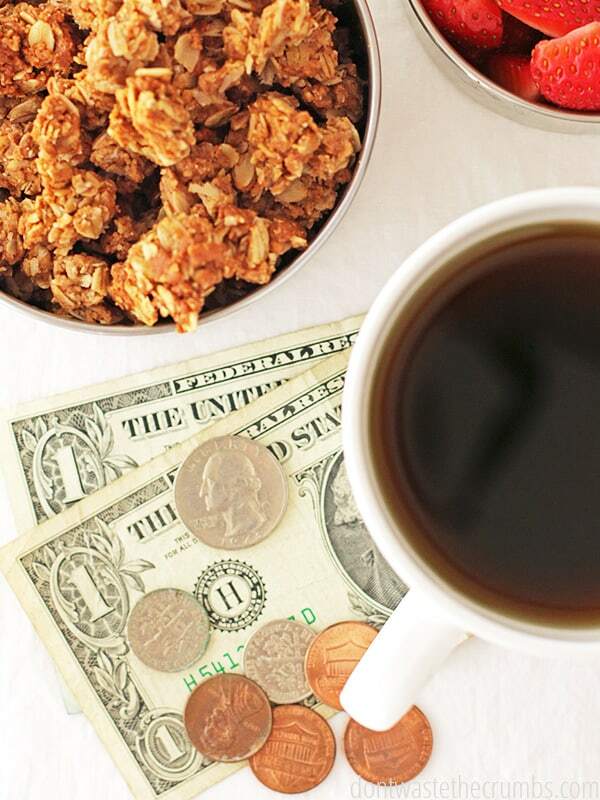 Those pesky little papers are a nuisance but they are THE secret to a healthy grocery budget! I’m backing up my claim with six reasons to keep your grocery receipts. And this doesn’t just apply to those that are just starting out with their grocery budgets. 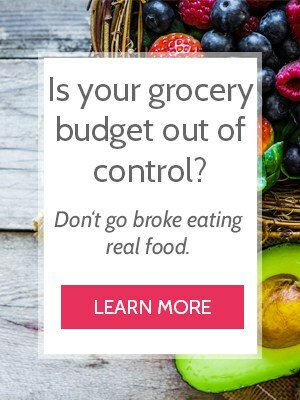 I’m several years in and I still need them to help me stay on track for a healthy grocery budget! 1. We are called to be good stewards of our finances. You should be doing the best you can with what you have no matter what your financial situation looks like. Staying accountable to what you spend your money on and why will give you wisdom for the future and the ability to achieve your financial goals. 2. You won’t remember what, where, and how you spent your money 100% of the time. Keeping receipts is the only way to truly know where every penny is spent. Those numbers won’t like. They give you insights not only to the final amount you spent, but also what you spent it on. If one of your goals is to feed your family healthier, you’ll know if you spent your budget on real foods or on processed foods. You’ll also learn whether you are getting a good deal on what you buy. Using your receipts to make a price book will help you save more money in the future. 3. Money stops disappearing and your spending becomes more purposeful. Money often disappears quickly at the grocery store, but when you have to stay accountable to what that money was spent on, you’ll find yourself thinking twice about swiping that card. Every transaction becomes a purposeful decision. 4. In order to work within a budget, you need to know where you stand. Creating a grocery budget is essentially setting a goal. Think about someone with weight loss goals. Typically, they weigh in every week to know if they are on track. Consider your grocery receipts as a weigh-in to know if you are on track for your month’s goals. 5. Knowing where you stand is empowering. If you know you only have $30 to spend on groceries, you’ll be very aware of what you are purchasing. You’ll better evaluate your wants vs needs. Your decisions will become clear and you’ll be less likely to overspend. 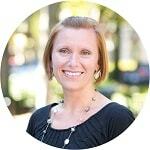 It may be the competitive streak in me, but I find a lot of satisfaction in staying on track with my budget! 6. Knowing where you stand is also a powerful motivator. To have a purpose behind saving your receipts makes it easier on the nights when leftovers are on the menu again. You know your grocery budget goal is in hand when you know where your money goes. Now that you know why keeping receipts is the secret to a healthy grocery budget, the next question is how to keep track of your expenses? Use an online spending tracker or app. For those of you that are dependent on your tech devices, this is probably the route to go. I’ve found some great grocery shopping apps that help you save money and keep track of your receipts and prices. YNAB is traditionally a household budgeting software, but some families use it specifically for the grocery budget too. You can use Google or search on Swagbucks to find even more. If you don’t want to go with a pre-made program or app, a simple spreadsheet can do wonders for you. Set up four columns to keep track of what you spend each week. As you catch the hang of it, add in more lines for the exact items you bought. This will help you define your grocery budget even more. This is my preferred method. I simply write down what I spend directly in my planner as soon as I get in the car after shopping. I always have my planner on me, so it works well. I can reference my notes when I reconcile my budget later on. This may go without saying, but the key to making any of those methods work, is to actually use them. Building a habit to write down the numbers of what you spend can take a little time. Like writing down your goals is a proven way to make sure they happen, writing down your numbers is vital to making your budget work. It is well worth it once you get there. It’s the only way to a healthy grocery budget! 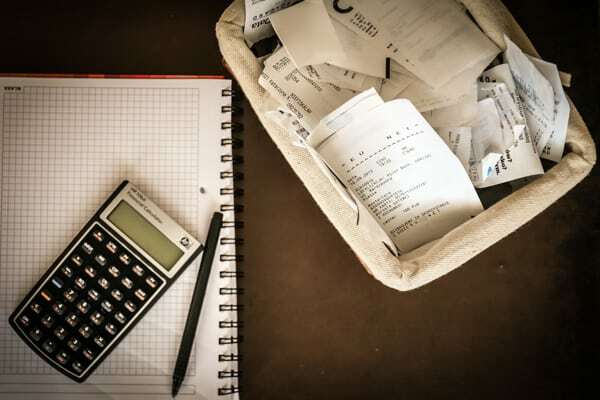 Once you have your spent money tracked, you’ll need to do something with those receipts. I’m sure you don’t want them cluttering up your purse or counter top! The most practical thing I can suggest is keeping an envelope for the month’s receipts. You could also designate a cute, small basket like this for the sole purpose of holding receipts, which works really well if you’re not the only one spending grocery budget money each month. Put it somewhere you or any other grocery shoppers in your family can easily access. Then, pull it out once a week to tally your numbers if you haven’t done so already. At the end of the month, double check your final total to be sure you didn’t miss anything. File those receipts in another envelope for future reference if you want to check prices and shopping trends. 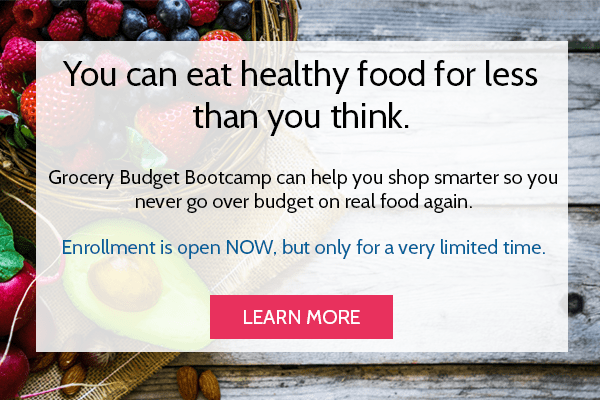 I explain exactly how to do this and how to save even MORE money simply by using your grocery receipts in my course Grocery Budget Bootcamp. The secret to a healthy grocery budget isn’t rocket science. But it does take some discipline to build good habits. 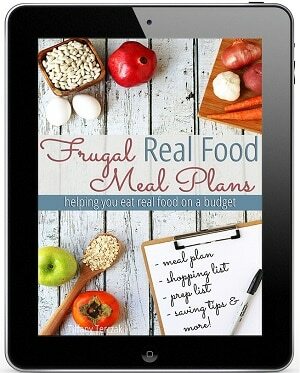 If you are already thinking along the lines of sticking to a frugal grocery budget, you are on the right track. 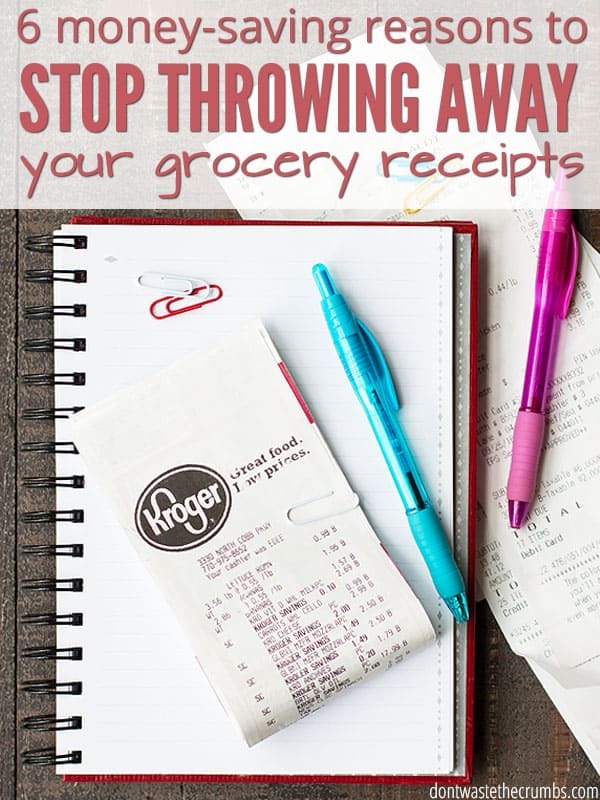 Do you keep your grocery receipts? 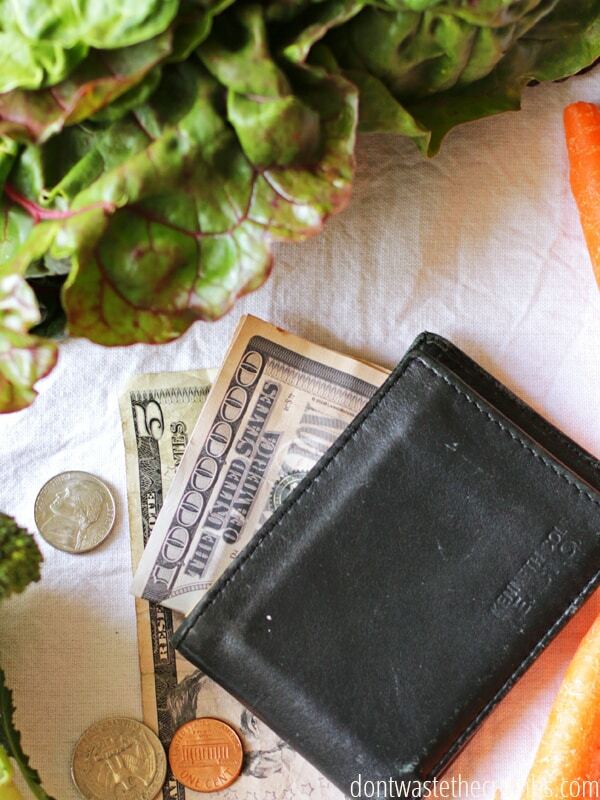 Do you have any secrets to a healthy grocery budget? There is a great app called Receipt Hog that you snap photos of your receipts (saving them)and they give your hog coins. Once you get so many hog coins you can redeem for real money of amazon gift cards. I have been using this for a while now to keep up with receipts to see what we are spending. It has been a great gift (not to mention the free money that you get!). 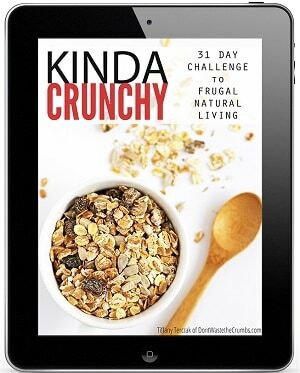 Is your grocery budget toolkit an ebook? Want to get it for my brother but he doesn’t live with me, so a physical copy would be convenient. 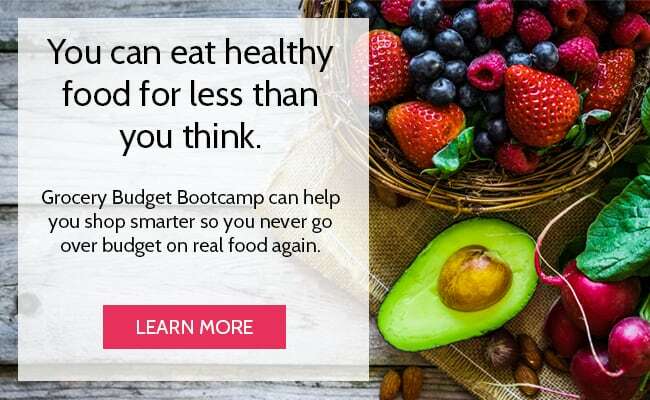 Grocery Budget Toolkit is digital Vic, so you’re good to go!